King Door and Lock Maryland and DC is the lock and door company you’ll be able to count on for quality lock installation Montgomery County, MD service which includes lock installation, re-key, replacement, repair, and more! 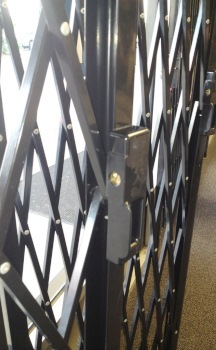 We provide a full and all-encompassing lock service with up-front prices. Our efficient and expedient lock technicians are readily available 24/7 and can remedy your lock and door problems. Our lock techs install garage door locks, locks for offices, and household locksets, and utilize only skilled lock techs that possess a minimum of five years of experience in lock replacement and repair. We utilize the latest equipment and deliver professional workmanship when it comes to replacing and fixing your locks. King Door and Lock Maryland and DC is recognized for outstanding lock installation Montgomery County MD service. You will feel like a royal due to our “at your service” type of customer care. No matter if your security needs are for your house or commercial establishment, we’ll provide the very best safety measures. Our polite and courteous, expert technicians will come to your residence or work place to check out your safety measures and recommend supplemental protection that will offer the ultimate standard of protection for your commercial or residential property. We use by far the most expert technicians in the field, each knowledgeable about complete lock services, door hardware, and the finest locksets to meet your security needs. Our company offers the most suitable locks and upfront prices. King Door and Lock Maryland and DC offers garage door lock repair and replacement to homeowners and even services commercial garages. We provide you with courteous and professional service, ’round the clock availability, and upfront rates. Our lock techs are experienced, knowledgeable, sincere professionals keeping your security and well-being as a main priority. Famous for reliability, King Door and Lock Maryland and DC is the trusted garage door lock specialist in Montgomery County MD. Regardless of whether you have a wooden garage door or a metal garage door, our experienced lock technicians will install and repair your rim cylinder or mortise lock. Feel free to call us today for a free quote! For lock installation Montgomery County MD service, no matter whether you’re a business owner or homeowner, call up King Door and Lock Maryland and DC – the safety pros with all the most advanced technology, knowledgeable technicians, accessible ’round the clock. 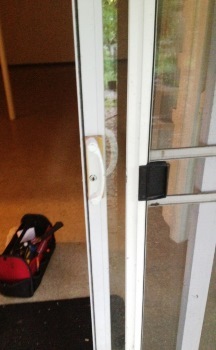 Proficient ‘Round the Clock Montgomery County Door Lock Service You Can Rely On! 24/7 Lock Installation Montgomery County, MD Service by King Door and Lock https://kingdoorandlock.com/maryland-lock-installation/montgomery-county/ 3.6/5 based upon 11 reviews.